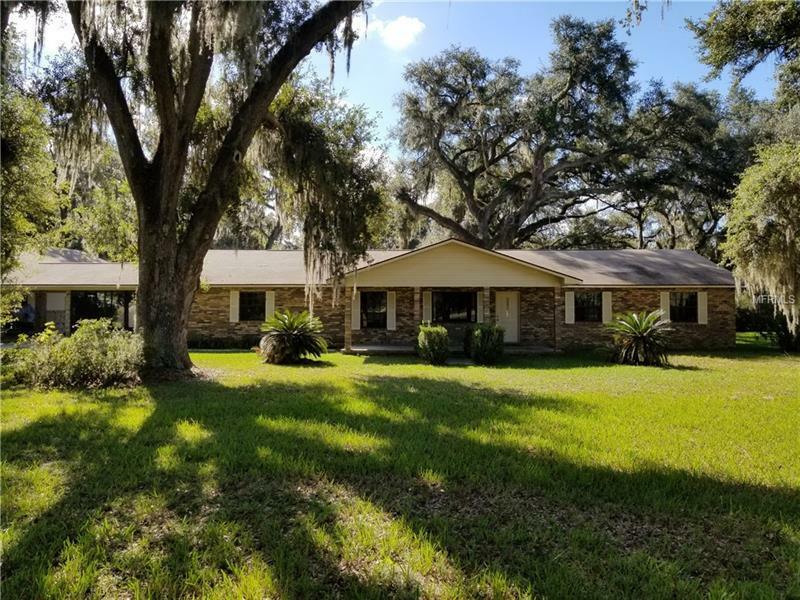 Nestled on ten quiet acres adorned with oaks, this exceptional home comes with some nice bonuses. First, there is a huge storage attached by an RV/Truck port, carport and screened porch to the home, all done seamlessly and complimentary. The storage offers ample space for working, playing or just keeping your stuff; it has an attic, a side roll-up door for lawn equipment and a 1/2 bath. Entering the attractive brick home, you'll find formal living and dining rooms, and airy open kitchen with cabinets galore, family room with brick fireplace, three bedrooms and two & 1/2 baths in a ranch style layout. This home has been kept in tip-top shape! Still, more is the huge utility area with laundry hookups, utility sink, more storage cabinets, an expansive work/hobby/craft room, office and the 1/2 bath. Pretty, open front porch, side porch, and nice screened back porch complete this great package.